You are here: Home / News / Awards / After Hours brings gold back to Illinois! 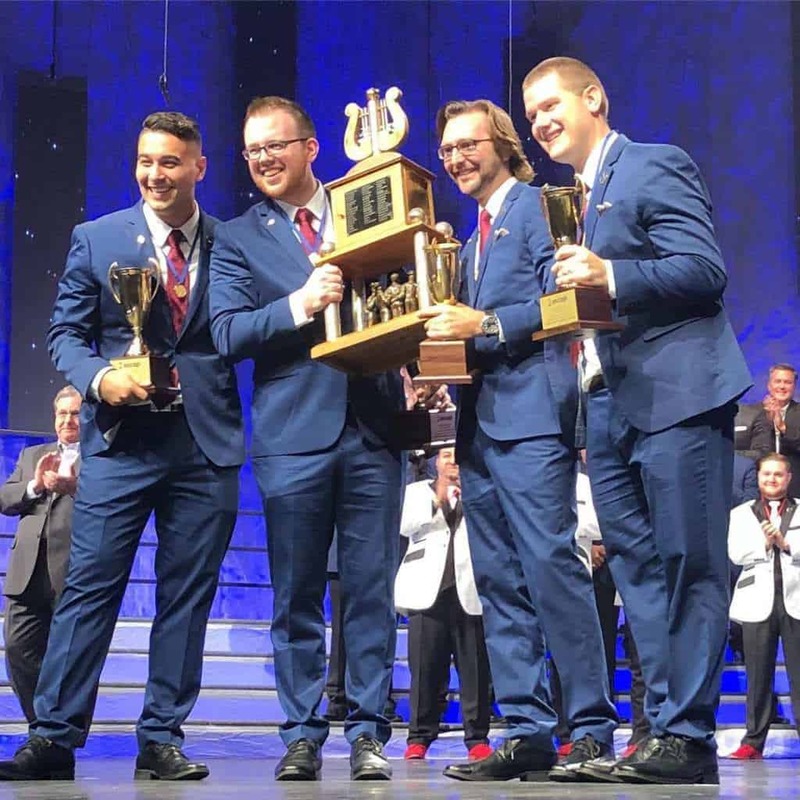 After Hours is the Illinois District quartet that won the gold medal at our 2018 competition and convention in Orlando, Florida on Saturday July 7th. Singing a range of songs from Broadway including “Butter Outta Cream” from Catch Me If You Can, “The Next Ten Minutes” from The Last Five Years, and classics like “Honeysuckle Rose,” the quartet posted the highest winning score in the history of the annual competition, now in its 80th year. This is the first time the Illinois District has had a Gold Medal quartet in 30 years! 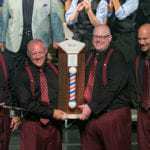 Also, it is the very first time in the 76 year history of Bloomington, Illinois’ Sound of Illinois chorus that a quartet has won the gold! Congratulations for bringing home the Gold! 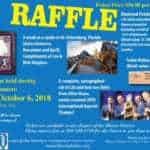 2017 Fall Convention Results More prizes added to this year’s raffle!